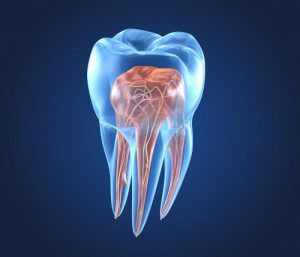 You may require endodontic treatment if you experience an infection at the root of your tooth or have problems with the dental nerve or soft tissue inside a tooth. Commonly known as root canal treatment, our dentists at Northway Dental Practice are experienced and proficient in performing this delicate and intricate treatment to resolve you of any discomfort. Your positive dental health is our priority and we strive to provide a high standard of oral care, especially when patients are experiencing infection and/or heightened sensitivity. While there are a range of advanced endodontic treatments that can be carried out by endodontic specialists, we provide root canal therapy to clear your teeth of internal infection. The top section of a tooth will be removed so that the dentist can thoroughly clean the inside of it and eradicate the infection. Local anaesthetic will be used around the affected tooth to ensure your comfort throughout the procedure. At the end of a root canal procedure, your tooth will need to be sealed and protected from re-infection and a crown is the ideal restorative treatment to do this.